“A Funny Thing Happened on the Way to the Forum,” one of Broadway’s best comedies, will be staged by The Drama Group this weekend and the first weekend in May at the group’s Milord Studio Theatre, 330 W. 202nd St. in Chicago Heights. 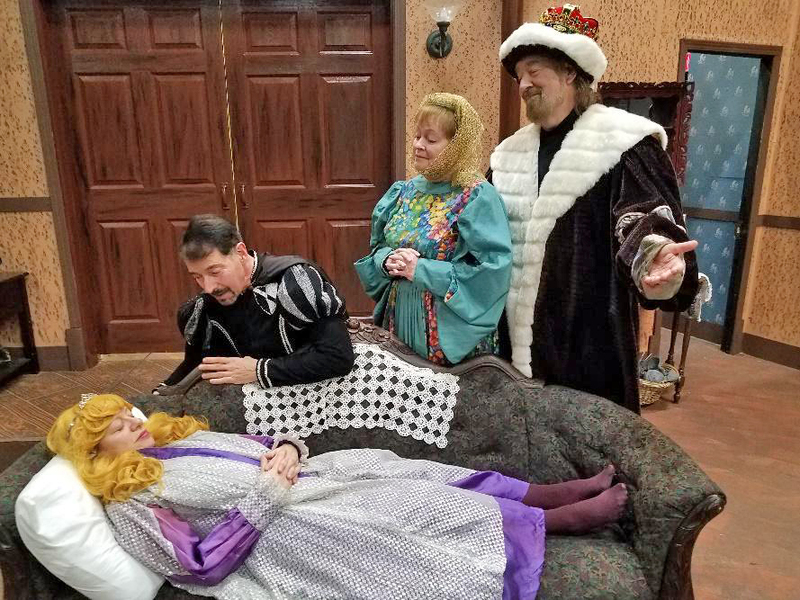 “Sleeping Beauty,” a production especially for children, school groups and daycare centers, will be staged by The Drama Group, 330 W. 202nd Street in Chicago Heights, with five performances April 10 through 14. The Drama Group continues its 88th season with Lorraine Hansberry’s searing and timeless drama, "A Raisin in the Sun," directed by Michael Depriest Reed. As the song says, there’s “something for everyone” during 2018-2019 season of The Drama Group, a mainstay of the south suburban theater scene for 88 years. That classic melody that opens “A Funny Thing Happened on the Way to the Forum” – one of the ensemble’s offerings this year – says it all. From side-splitting humor to life’s hardships to unforgettable songs, The Drama Group is presenting plays that cover a wide range of the human experience. The Drama Group presents a zany Broadway musical “Eating Raoul” filled with lively intrigue and laughs as the plot thickens. The show will be presented at 7:30 p.m. Nov. 10, 11, 16, 17 and 18, or 2 p.m. Nov. 12, 18 and 19, at the Milord Studio Theater, 330 W. 202nd St. in Chicago Heights. The Drama Group has found a way to honor Paul and Maureen Milord of Homewood for their 50 years of dedicated volunteerism. The group renamed its theater space The Milord Studio Theatre. The Drama Group will present the murder mystery “Murder on the Nile” over two weekends in June. The play is based on the 1937 novel by Agatha Christie and features sleuth Hercules Poirot as he travels down the Nile River on a paddle steamer. When a passenger is shot and another is found dead Poirot puts his talents to work to find the killer. The play has a bevy of interesting characters who can lead the plot to any number of dead ends before Poirot solves the mystery. Michael Mesirow of Homewood stars as Bert in The Drama Group’s production of “Mary Poppins,” which will be showing at Bloom Theatre April 29 to May 1.